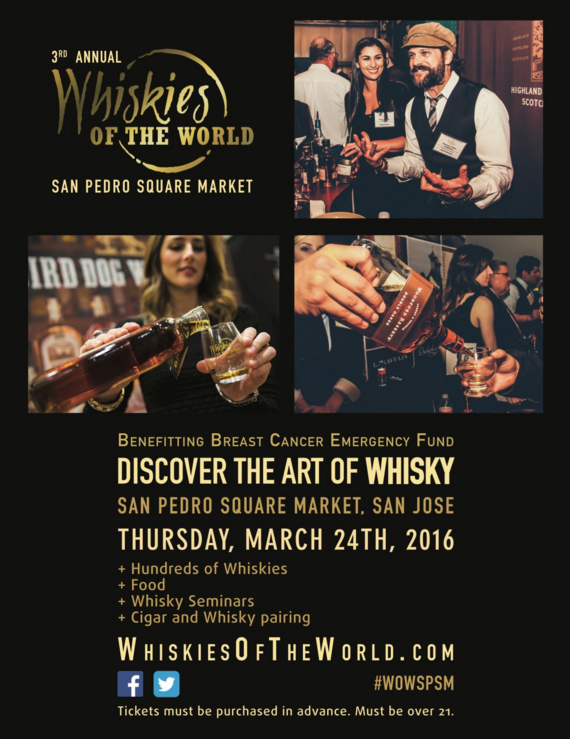 The third Annual Whiskies of the World San Jose is returning to the San Pedro Square Market next Thursday. The event will feature a whopping 200 whiskies to taste. There will also be food, whisky seminars, networking with the distillers, and optional classes on cigar pairings. Best of all, you will be drinking for a good cause as proceeds will benefit the Breast Cancer Emergency Fund. To register for the event, head over here.